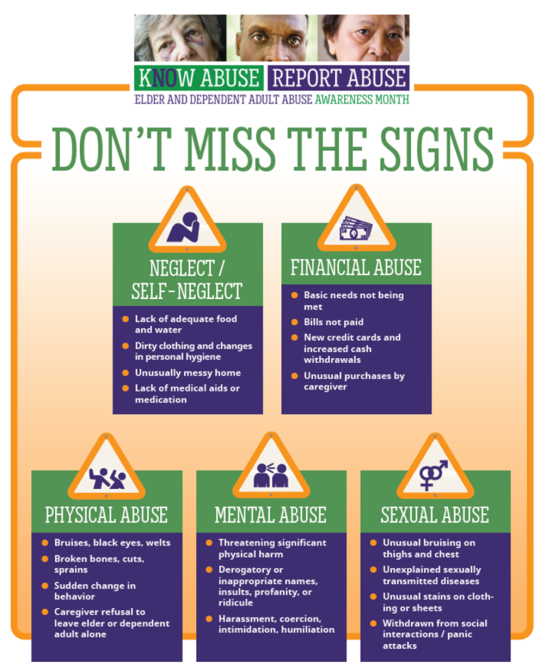 Adult Protective Services (APS) responds to reports from individuals, concerned citizens, social service and health providers, and law enforcement representatives about developmental disabled adults, physically and mentally disabled adults, and the elderly who may be physically or financially abused, neglected, or exploited. Upon receipt of a referral, APS sends a social worker to make a home visit or contact the elder or dependent adult. To contact the Imperial County Adult Protective Services, call 1(760) 337-7878. The Long-Term Care Ombudsman Program investigates elder abuse complaints in long-term care facilities and in residential care facilities for the elderly. The primary responsibility of the program is to investigate and endeavor to resolve complaints made by, or on behalf of, individual residents in these facilities, including nursing homes, residential care facilities for the elderly, and assisted living facilities. The goal of the program is to advocate for the rights of all residents in long term care. To contact the Imperial County Long-Term Care Ombudsman, call 1(442) 265-7032.